The Old Clare County Courthouse. Clare County. One of them was called “Anatomy of a Shingle Mill” and its origin goes back to a discovery of some papers when the old Clare County Courthouse in Harrison was torn down in 1968. The paper is enlightening as to life back in the late 1870s and early 1880s when all of Clare County was booming because of the lumber industry. The paper tells the story of Philip (U.S. Census records show name as Phillip) Cory who came to the area with nothing but an old horse and made his fortune making wooden shingles. Whether he kept it isn’t clear in the papers and neither is where his brothers came from who are mentioned. However, these are just minor details to a picture of a county a century ago. I’ll let Dodge tell the story from here. 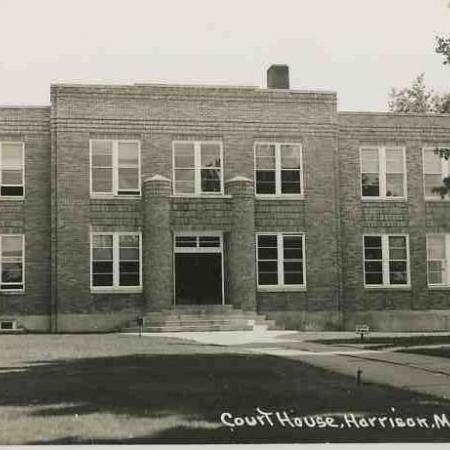 The story of two brothers who came to northern Michigan to make their fortune during the logging days of the late 1800s came to light when the 85-year old Court House at Harrison, Mich. was torn down in 1965. A box of dusty, yellowed records consisting, of ledgers, contracts, canceled checks and letters, all laboriously written in various colored ink with a goose quill pen, revealed the following story. Harrison in the late 1880’s about the time Phillip Cory lived here. 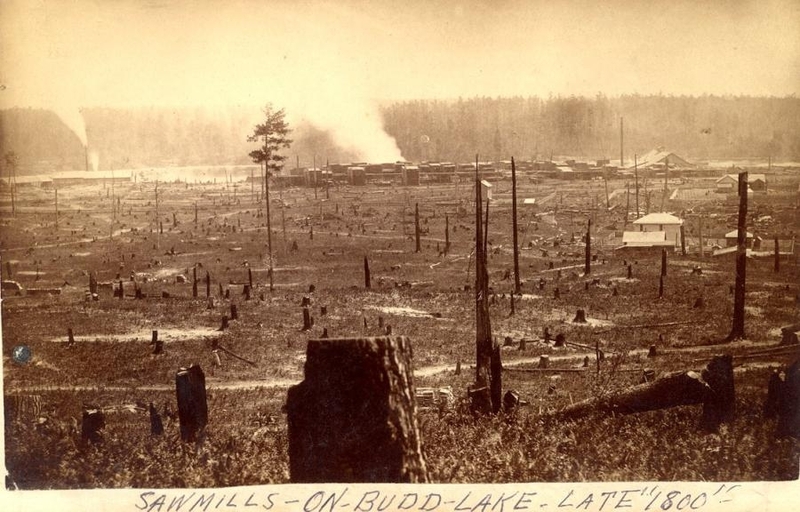 Structures in distance are sawmills around Budd Lake. Photo from the Harrison Public Library collection. Philip Cory, address unknown, arrived at the company store of George B. Erenkbrook in the hamlet of Avondale, a few miles north of Evart in Osceola county, riding a tired old horse on the morning of Oct. 2, 1887 at the start of the winter logging season. His only possessions were the clothes on his back and his horse, which was of little value. 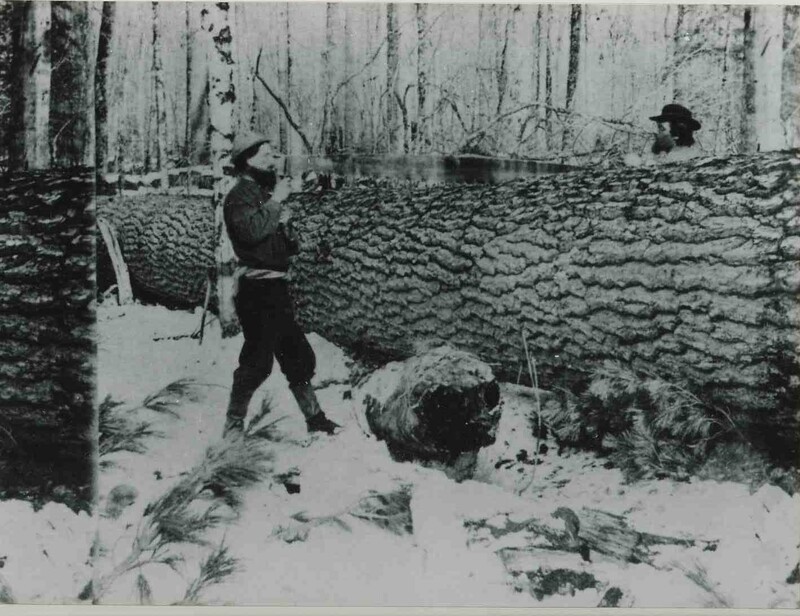 George Erenkbrook was a man experienced in every phase of the lumbering industry “from the stump up.” He was in his middle fifties, almost old enough to be young Cory’s father, and had lumbering interest both in lower Michigan and the Upper Peninsula. 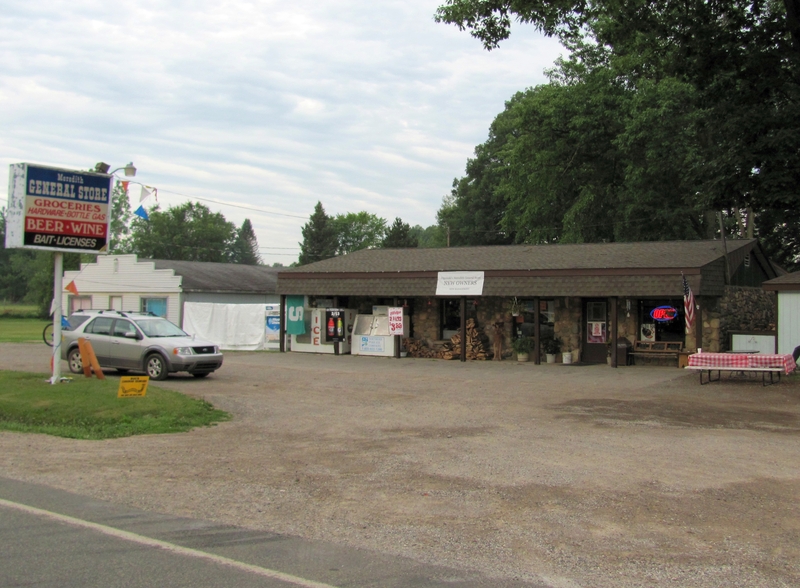 Erenkbrook was a partner in a shingle and sawmill located In Beechwood, Iron County, Michigan and owned his own mill and store at Avondale. Cory explained to Erenkbrook that he intended to operate in the area as an independent logger, cutting his own shingle bolts, railroad ties, and any other type of timber in demand on a “piece work” basis. 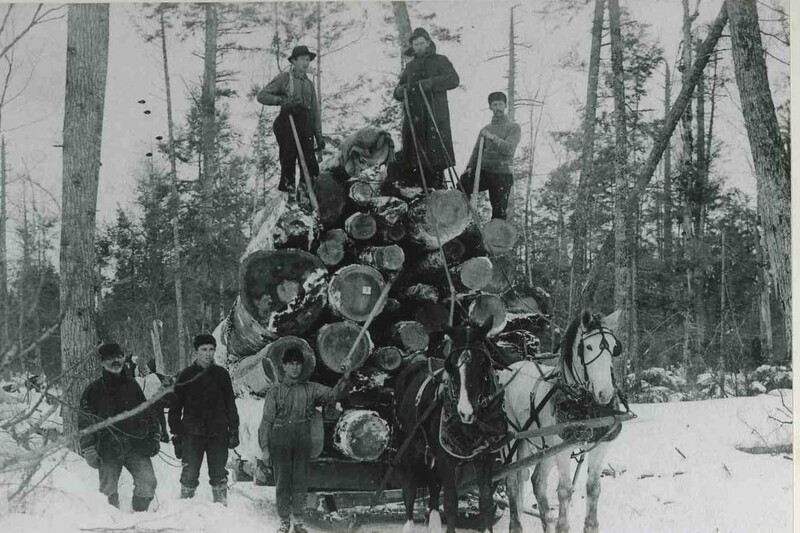 Cory worked hard and became a successful “jobber,” cutting logs and shingle bolts, which he sold to various mills in Missaukee and Osceola counties. He kept a meticulous record of all his expenditures, both business and personal, his stained and worn booklets disclose. Cory wasn’t satisfied with his lot as a common jobber, as later records reveal. He soon traveled to other areas and began promoting a deal to set up his own mill. During the next two years, his personal “Tally-book” lists expenditures for such items as one Turkey, strap and pack, $1.25. 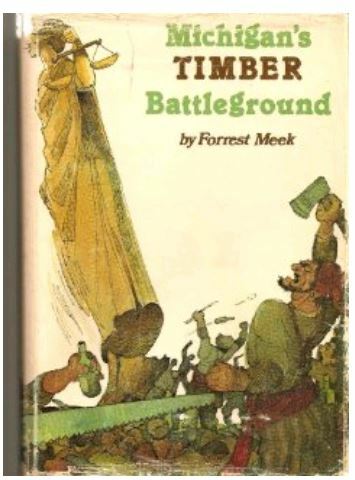 (Note: turkey was a pack in which lumberjacks carried their personal belongings.) One Rubber coat, $2.95; Shirt and Collar $1; roundtrip to Saginaw, $16.80. 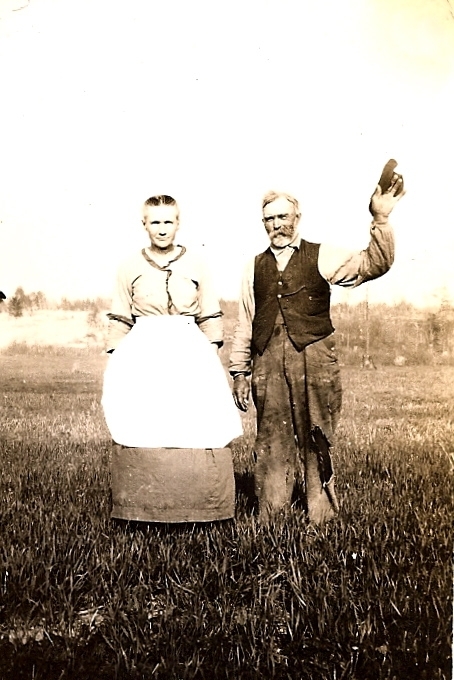 During the month of July 1887, Cory bought a new straw hat for 75 cents; wrote a check for $5; bought another shirt for $1; “paid Mrs. Norman 75 cents for doing washing; and spent 50 cents attending two dances. His earnings for June and July totaled $177.50. 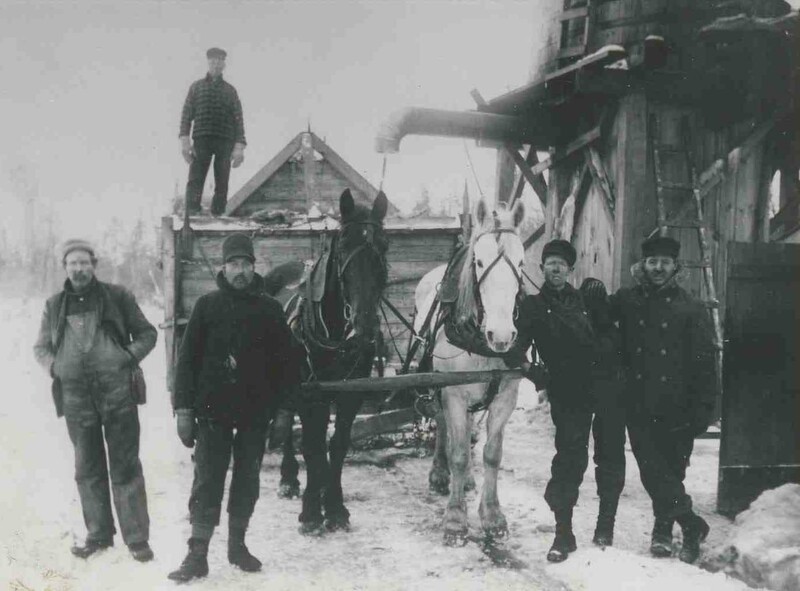 Philip Cory prospered during the winter logging season of 1887-1888. 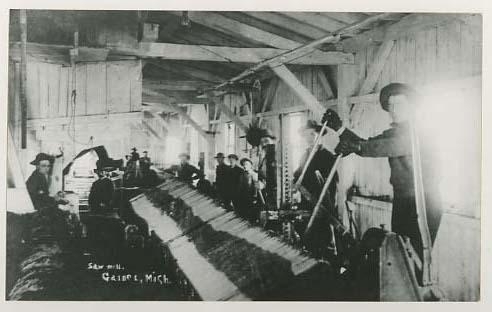 He also traveled extensively negotiating with companies in Saginaw, Grand Rapids and Muskegon for contracts to supply them with shingles and lumber products with intentions of setting up his own mill. During a six-month period, he purchased a new suit of clothes for $30; tie and coat, $3.50; pair of dress shoes, $2; and made several trips. In Saginaw, he spent $23.50 for train fare, hotel and entertainment. He also made a “Trip north,” $54. A shirt, handkerchief and soap cost him $3.60. He spent $1 for medicine, made a trip to Six Lakes, cost $6; and railroad fare to Grand Rapids, $8. Total earning from June to December (1888), $343.82. Mr. Erenkbrook, apparently pleased with the business acumen displayed by young Cory, put up a sum of money to organize the firm of “Cory Bros. & Co.,” with himself as chief stockholder, although his name didn’t appear on the first letterheads and invoices that Cory ordered from the printers. Upon the assurances of Erenkbrook that a substantial sum would be deposited to the Cory Co. account at the L. Saviers Bank in Harrison, Mr. Cory made another trip, this one to Bailey, at that time a booming lumbering town in Muskegon County. There he visited a Mr. Jerome Bitely who had abandoned a steam operated shingle mill near Harrison and had moved to greener pastures. Cory’s sawmill might have looked something like the sawmill in this photo from the Harrison Public Library collection. An idea of the cost of living during the years 1887 – 92 is shown in bills rendered to the company during this period. Some examples are as follows: Felts and rubbers (favorite footware of lumbermen), $3.50; shirts and drawers, $2.50; Pisas Cough Syrup, 10 cents per bottle; whiskey, 50 cents a pint. The blacksmith charged $1.20 for shoeing horses. Overalls were 75 cents a pair. Horses brought premium prices and were considered more important than men. Cheap labor was plentiful while horses were scarce. Good teams ranged from $400 to $675 a span. A pair of calked drive shoes (for the front feet) cost $3 installed. An entry of Feb. 1889, reveals that one man and his wagon team were paid only $24 for eight days work. Wagons sold for $30. A set of heavy work harness for $12. Misfortune struck the Cory mill on May 10, 1891 when it burned down to the ground. They were sued for unpaid bills, notes due and overdrawn checking accounts of banking accounts on banks in Grand Rapids, bay City and East Saginaw. Mr. Erenkbrook of Avondale sold his interests there and moved to Beechwood, near Iron Mountain in the U. P. From there he wrote letters to friends asking them to keep tabs on the movements of the Cory brothers. He hired Henry Hart, a Midland attorney, to list their debts and assets and with a court order in an attempt to recover his interest in the enterprise. In the final accounting by attorney Hart, it was determined that the company’s assets amounted to nearly $12,000. This included $2,000 owed by the C. C. Follmer & Co. of Grand Rapids for singles and lumber ready for shipment on Mostettler’s Siding several miles from the burned out mill. Another $2,000 was owed to the company store. Other assets were horses, wagons and machinery not burned. A balance of $4,965.80 was left after debts to be divided between owners and debtors. Mr. Bitely wrote his bill for machinery off as profit and loss. Cory hired A. W. Scoville, Attorney at Law, of Marion, Mich. to collect bills due him from the firm of Desmond Brothers of that town. Erenkbrook was forced to pay a $500 note due to C. H. Rose of Evart. Philip Cory, the former protégé of Erenkbrook, was allegedly overdrawn nearly $2,000 on various bank accounts where the firm conducted their business. Cory then rebuilt the mill and operated under the name of Cory & Hudson-Dealer in Shingles and Pine Lumber, Dodge City, Michigan. On or about the same date as the lawsuit, Mr. Mostettler who owned the storage sheds and the railroad siding where the Cory mill output was stored, committed suicide. Old timers in the Harrison area tell different stories of the incident, including Mr. Mostettler having had an affair with another woman, whereupon his wife shot him. But Mrs. Winifred Coveart, now 75, of Clare, Michigan, who lived at Dodge, said that Mr. Mostettler lost all of his money or was “tricked” out of it by some businessmen. He became despondent and one morning while his wife was out pumping a pail of water she heard a gun shot, ran in the house, and Mostettler laid on the bed, fully clothed and had shot himself in the head with a shotgun. Mostettler Rd., at the south city limits of Harrison, running east and west, was named after the above Mr. Mostettler. Philip Cory refers in his notes and accounts that certain items were purchased for “Mother.” Apparently he was not married. However, in Clare county marriage records, a David E. Cory (one of his brothers) married Foslenia Hall on Sept. 18, 1889 at Coleman, Mich.
Editor’s Note: According to 1880 census records, Phillip (or Philip) Cory was born in 1852 in Ohio. That means he was about 30 when he came to Clare County. His father was Wyman Cory, born in England and mother was Sarah Kiger, born in Virginia. 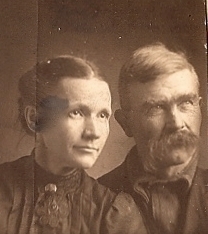 Philip married a woman named Ettie D. (although census records show a total of three different women as his wife over the decades) and had six children living in his home in 1900. in that year, Cory and his family had moved to Mansfield, Michigan in the Upper Peninsula, near the Wisconsin border. His children at the time were shown as: William, 18, John 16, Claude 13, James P. 11, Olga 5, Clare 4. By 1910, he and his family had moved to Skagit, Washington. Phillip died July 22, 1919 at the age of approximately 67 years, and is buried near there. In all the records, Cory described himself as a shingle manufacturer so it’s probable the family moved to follow the lumber industry and moved on once the lumber played out. The following is a press release I wrote concerning a new kiosk installed on the grounds of the college’s Harrison campus, near an old railroad bed that is now part of a trail system. 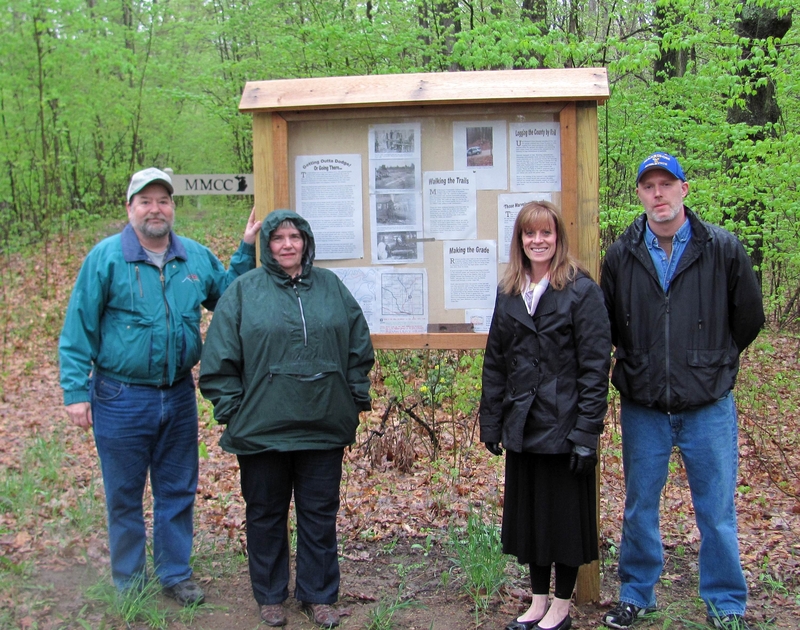 Coming out on a rainy May morning to take part in the dedication of the kiosk were (l-r) Joe Bradley, Carron Nevill, Cindy Mussell and Andy Coulson. Cindy is with the Mid-Michigan College Foundation and the others are part of the Clare County Historical Society. 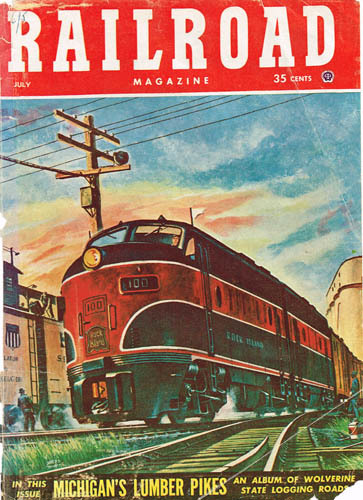 A railroad once ran through it–Mid-Michigan Community College, that is. 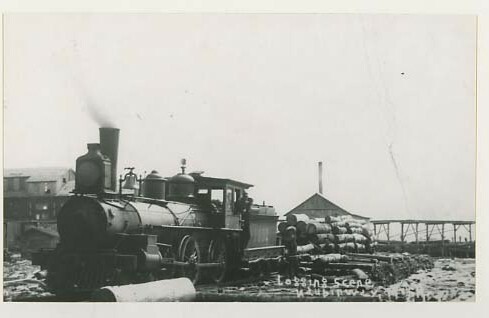 During the latter part of the 19th century, steam locomotives once regularly hauled men and materials from Clare into the then booming town of Dodge and back south carrying lumber destined for Midwest cities. 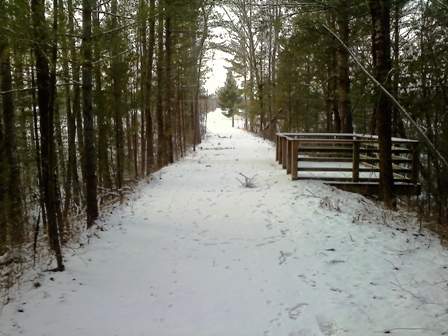 Although the rails were pulled up when the lumber played out, the grade on which the trains ran can still be seen on Mid-Michigan’s Harrison campus and some of it has been incorporated into the college’s walking trails. But many who walk those trails may not know about the history under their feet–until now. Thanks for a new kiosk on school grounds dedicated on May 10, tourists and residents will now have the opportunity to learn more about Clare’s fascinating past while getting some exercise. The kiosk is a joint project of the college, Clare County Historical Society and Friends of Clare County Parks & Recreation. Map of the college. 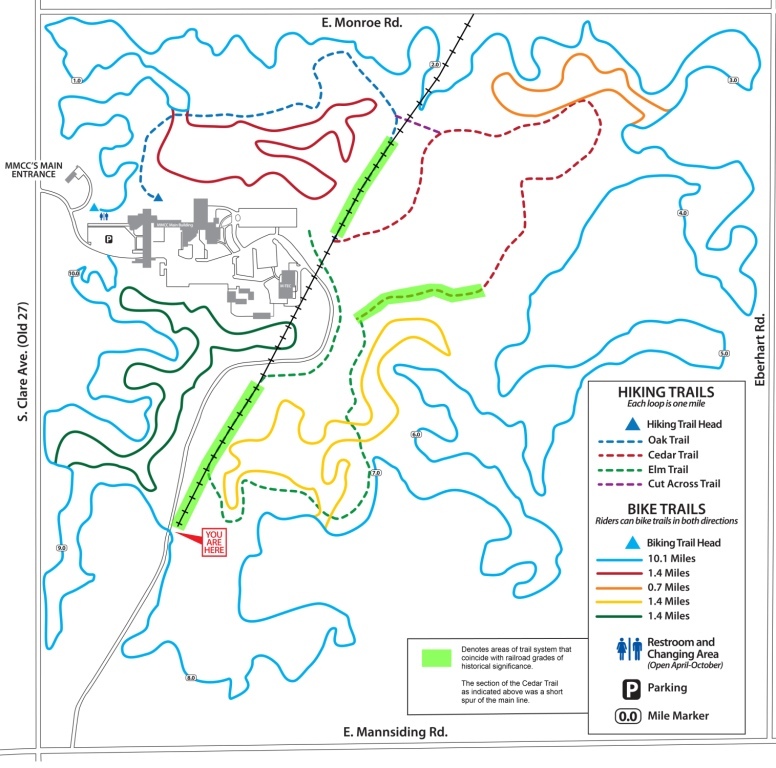 Green lines represent remnants of old railroad beds on college property. According to Joe Bradley, CCHS President, Clare County has more than 300 miles of railroad grades, which puts the county near the top in mileage in the state. 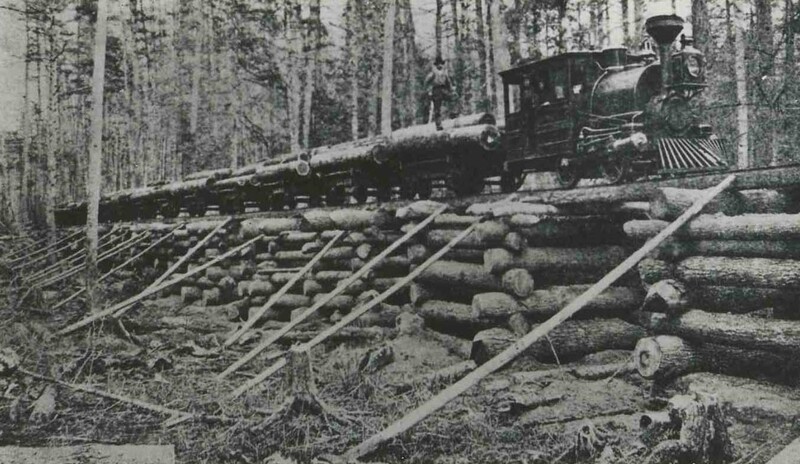 And while most of the railroads were narrow gauged temporary railroads that existed only to haul trees out of a section of forest, a number of them were standard gauge tracks like these that had full size trains. “Once the trees were all cut the economy tanked so the railroads just pulled up stakes—literally—and rails and moved out. Now only the grades remain.” Bradley added that most of the grades are deep in the woods on state land or on private lands. Only a few are easy to walk with this being one of them. “We’re happy to partner with the college and Friends on this venture. We see it as another way to tell the exciting story of Clare’s history,” Bradley said. This 1886 map shows some of the major railroad lines in the county. The railroad bed through the college grounds is near the “R” in Clare. So whether you interest in railroading, history or just a quiet walk in the woods, MMCC is the place for you. And stop by the new kiosk before you head out to see the maps, photos and to read about the history. The Railroad kiosk is located just inside the gate at the south (Mannsiding) entrance to the college. Mid Michigan Community College provides post-secondary education and services to enable students to succeed in a global society and also seeks to partners with its community for the benefit of its members. Learn more at midmich.edu or on its Facebook page. The Clare County Historical Society has a museum complex at the corner of Dover and Eberhart roads that is open every Saturday through Oct. from 1 – 4 p.m. Learn more at clarecountyhistory.org to on its Facebook page. Friends of ClareCountyParks and Recreation is an independent non-profit agency that works closely with Clare County Parks & Recreation Commission to improve recreational resources throughout the county. Learn more at clarecountyrecreation.org or on its Facebook page. 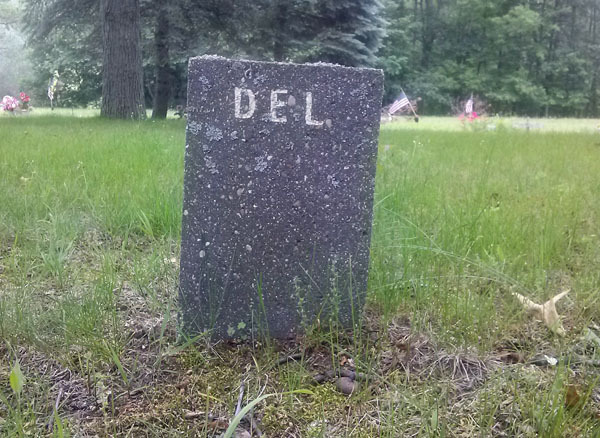 Clare County, Michigan has a rich history, but not one that has inspired a lot of writers to put pen to paper. As opposed to counties in other sections of the state, like Wayne County, Kent County or even Grand Traverse County, little has been written about Clare County. Now that doesn’t mean the Clare County section of the library is bare. Not in the least. We have been blessed with a few wonderful historian/writers who have taken it upon themselves to craft some interesting books. Forrest Meek, Roy Dodge and T. M. Sellers are three that come to mind. Sadly, after them the pickings get a bit slim. There are a few still publishing content, like former Judge Jon Ringelberg who is summarizing county court cases from the 1870’s to the present. And, of course, there is this blog (although this content won’t ever appear in a library), but there’s not a lot more out there, of which I am aware. Sure, there are books that contain a mention or two of something county related, or that talk about an incident that occurred in the county, but that is about all. On the bright side, the lack of books means it can be pretty easy to put together a library! Below are my choices for books that should be in every Clare history buff’s library. And no, I don’t have them all. Not yet, anyway. A Dictionary of Clare County Citizens Who Served Their Country (1996) by Forrest Meek. A couple more books are in the planning stages: One on the Leebove/Livingston murder in 1938 and an Images of America hook on Harrison. Both are due out in 2014. So, what other books need to be added to this list? Oh, one more thing: The lack of books and the wealth of things there are to write about (history and otherwise) means opportunity knocks. I hope people answer it. I have noted a number of impressive railroad beds in Clare County, Michigan that were built in the 1870s and 1880s when logging was a major industry and the economy was booming. People were streaming into the county and lumber was being transported out and railroads were the travel method of choice. One thing about trains. They don’t like hills or valleys. The more level the ground, the easier it is for them to run and stop safely. According to a few websites such as railfan.net, most mainline railroads won’t exceed a 2% incline, although some logging railroads can go as much as 5-6%. 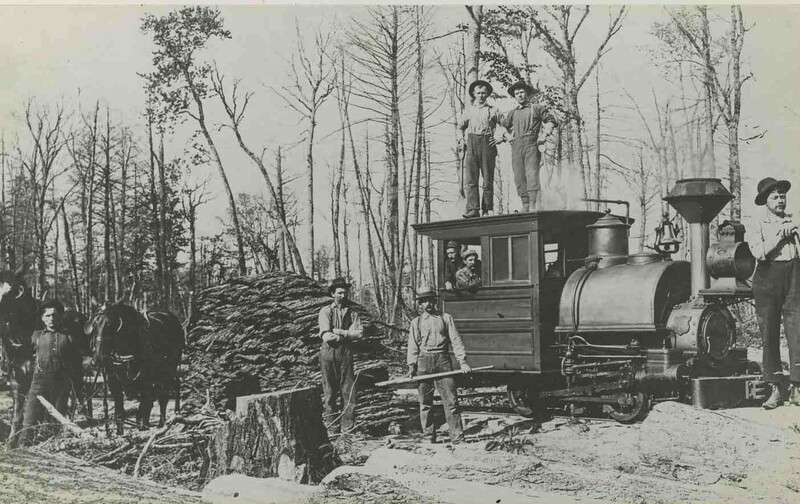 Whatever the maximum incline allowed, the railroads hired crews–often immigrants–to do the hard work of constructing the beds, filling in low spots and digging out high spots. There were a couple of methods railroads employed to creat a railroad bed in a valley or across water. One way was to create a wooden trestle with logs that were simply laid in a criss-cross pattern. This kind of trestle could be quickly constructed and at low cost since the majority of the materals needed in the construction cou were all around them. The photo at left shows one built by Gerrish for his logging railroad. A second way was to build a regular trestle of logs and boards. 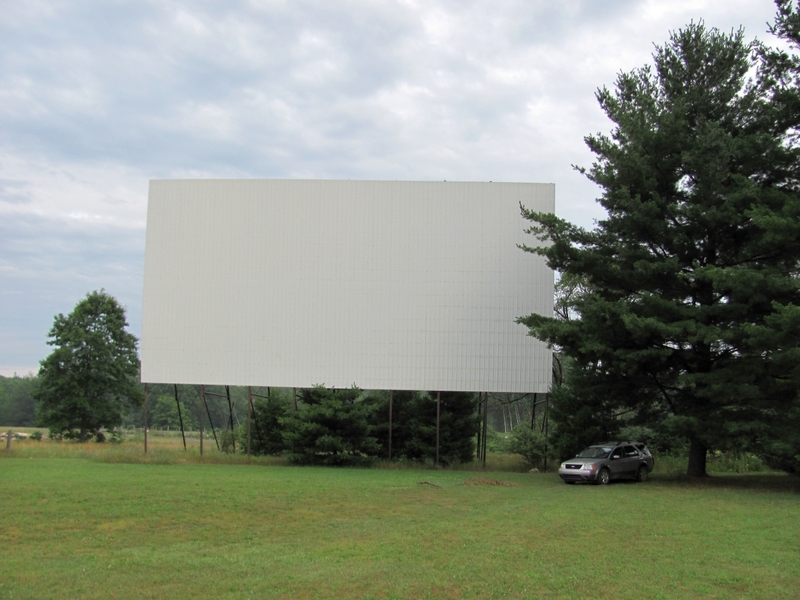 While this type of construction may have been used in Clare County, no evidence remains that I am aware of, although evidence can be found in Gladwin County near House Lake Ste Forest Campground. Another way and the cheapest, was to simply use fill dirt from the surrounding countryside to build low areas up to the elevation needed to build the track. One can still see today evidence of where workers dug the fill they needed to build up the railroad bed. In the northern section of the county, the work was relatively easy since much of the ground was sandy soil. Of course, easy is a relative term. The crews still had to deal with heat, mosquitoes, rocks, roots, accidents, long hours of back-breaking work, little pay and no benefits. Because much of Clare County is fairly level, most areas did not require a great deal of fill. One of those spots that did is in Harrison where the builders had to construct a bed nearly 30 feet above the surrounding countryside. How exactly this was done is not known, although one would think the fill was brought in by railcar and dumped and then the tracks extended upon the bed as work proceeded. In other posts, I have called this type of work a “trestle,” since the term fit, to me at least. However, local historian Cody Beemer who also owns Beemer Sand & Gravel Excavating in Harrison and knows about such things took issue (in a nice way) with my use of the word. His comments sent me to the dictionary and the Internet, and (sigh) I found he was right. According to Wikipedia and other sources, trestles by their very nature contain piers to support whatever is above them. And that means they need to be built of something other than earth. In the 18th and 19th centuries, wood and iron were the materials of choice. In the 20th century steel was used and continues to be used today. Now embankment isn’t an exciting way to describe what we have in Clare County. I would have preferred earthen trestle, but I DO try to be factual in what I write, so embankment it will be from now on, especially since embankment beats using the word fill in my book. One more thing I learned from looking things up: The difference between a trestle and a bridge. According to a railroader on a Yahoo answer site, (and I quote since I don’t honestly understand it all), “In typical bridge construction, you will have piers or bents that support the longitudinal, moment carrying members which are usually called beams, girders, joists or stringers depending on the layout and material used. The piers and bents will typically be constructed only in the plane transverse to traffic and will not have connection from one substructure (pier) unit to the next. So, now you know…well, sorta. Clare County, Michigan’s historical treasures never cease to surprise me, especially when it comes to the logging era. 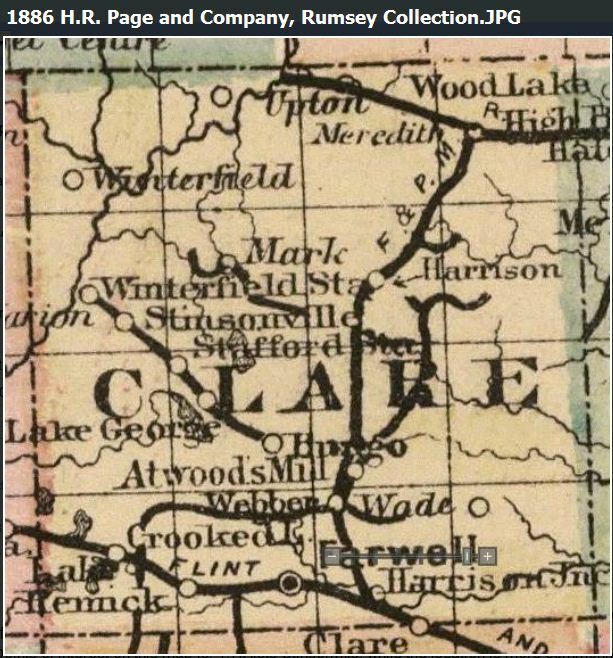 For the longest time I thought the embankment on Monroe Road, just north of Mid-Michigan Community College (MMCC) was one of the greatest feats of engineering of the early railroad era in the county*. But just when I thought I’d seen it all, I learn something new and exciting. This time from Cody Beemer (Beemer’s Sand & Gravel Excavating) who has a great love of history and a willingness to share it, and whose family has been here since the logging era. Cody put me on to an even more impressive embankment that rises about 30 feet above the surrounding ground and about 800 feet long—right in the heart of Harrison. The railroad bed to Leota can be seen heading off to the left (northwest). The other rail bed once went to Meredith (northeast). Neither bed can now be followed as both soon are on private land and/or have been obliterated with time and development. Another cool feature of the embankment is that one can easily see where the railroad bed split and one bed curves to the northeast when the track once ran to the town of Meredith. Another bed runs to the northwest where the track ran to the town of Leota, both logging towns that are now small sleepy communities, with Leota best known for its nearby 56 miles of ATV and snowmobile trails. This is the trestle/trail looking south toward Budd Lake and Harrison. The lookout platform is on the right. The embankment is found at the north end of the Hayes Township Civic Center and east of the VFW Hall on N. Clare Ave. 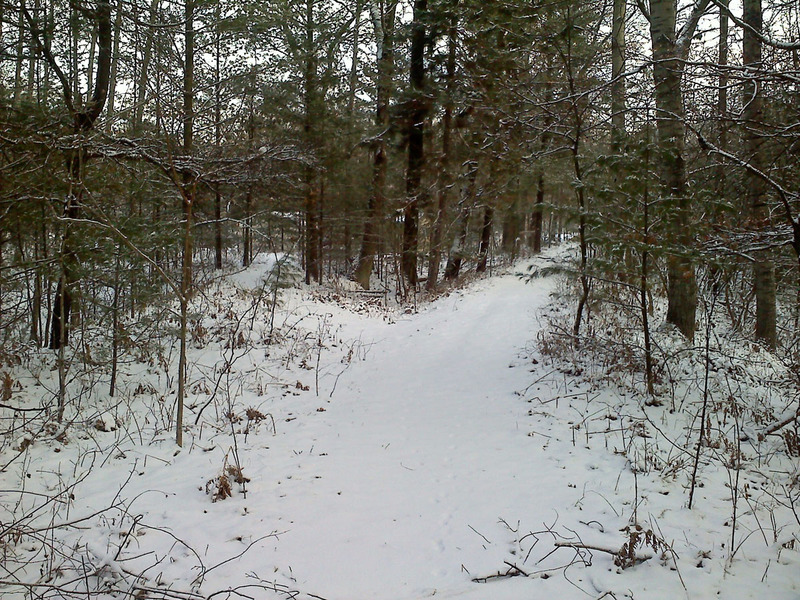 The old railroad bed to the south of the embankment that ran south across Township property and then ran along the west end of Budd Lake can no longer be followed, but one can easily pick up the short trail at the south end of the woods. Hayes Township has built a wooden platform to give visitors a nice area to linger to watch the birds and other wildlife in the small pond below. The Harrison to Meredith line was built in 1887 by the Saginaw and Clare Railroad that became part of the Flint & Pere Marquette in 1888 (and eventually the F&PM became just the Pere Marquette Railroad a year later) and ran 15 miles with stops at Arnold Lake, Hackley, Levington, Frost and Eyke along the way. 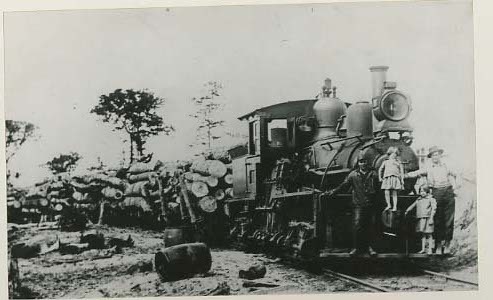 The line was built as a cost-effective way to bring men and supplies into the Meredith area and pull the cut timber out. 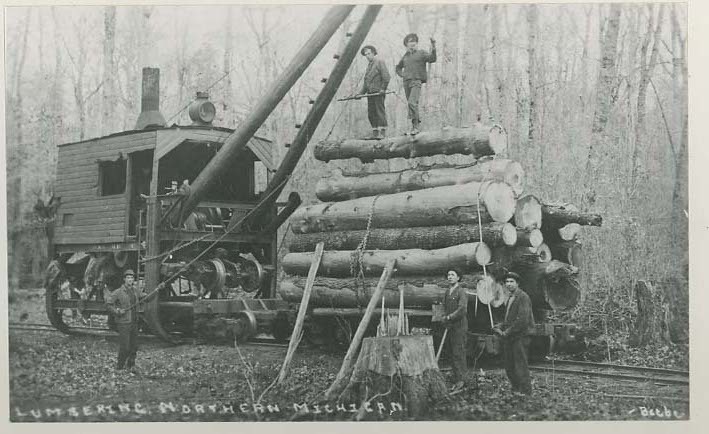 The line didn’t end in Meredith but ran all the way to the Sugar Creek area in Gladwin County so timber could be hauled out both directions and lumber camps supplied. Once the timber petered out by the mid-part of the decade the men and the money left the area and so did businesses and most of the remaining population. 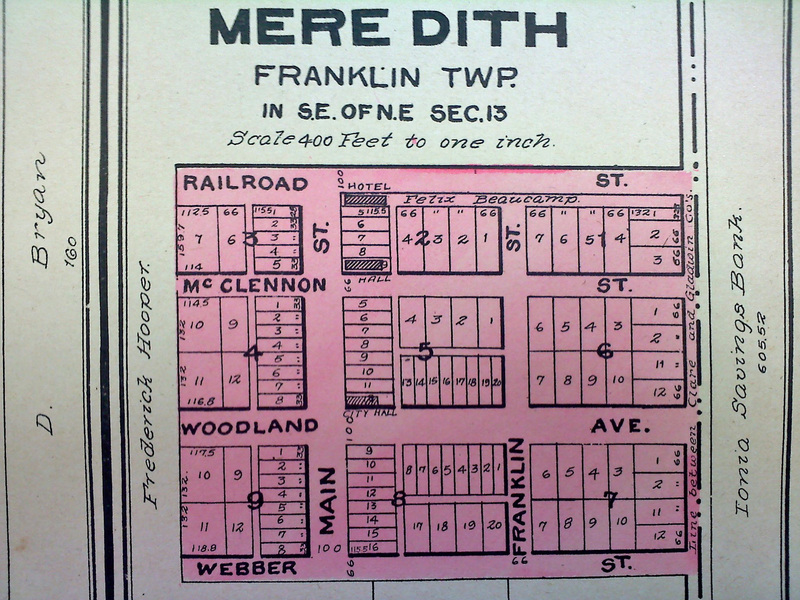 The railroad was no longer viable so by 1896, the line between Meredith and Frost was abandoned and by 1916, the entire line back to Harrison was finally abandoned. 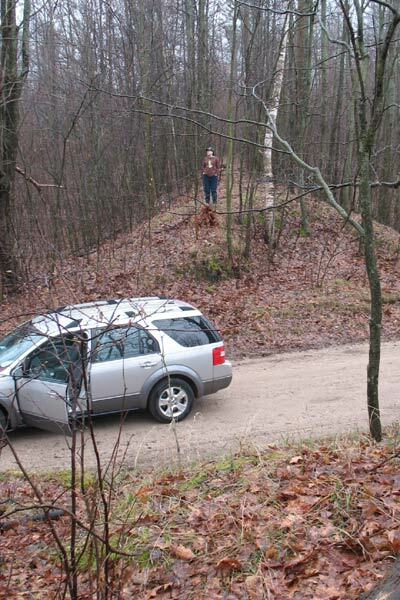 The Meredith Grade Road now covers a good portion of the old railroad bed. The Harrison to Leota line was built by the F&PM and trains first plied the tracks in 1891 running the 8.8 miles to Leota and, according to the book, another 1.1 miles from there. According to historian Forrest Meek and other sources, the tracks to Meredith were torn up and used to build the line to Leota. The Harrison-Leota line was finally abandoned in 1922, although it’s difficult to know when the Harrison to Leota train last ran, but it was most likely years before the line was formally abandoned. My hope for the Harrison embankment is to convince the Clare County Historical Society to pay for and Hayes Township allow for the mounting of a small marker on the wooden platform that was built on the embankment that will give visitors to the site a better understanding of what they are seeing, why it was there and to gain a better appreciation of Clare County surprising treasures. This trail was once part of an earthen railroad embankment built in the 1880s when logging was the primary industry in Clare County. Trains ran upon this line to Meredith to the northeast and Leota to the northwest. The point where the line diverged to those towns can be seen just 50 yards north of here. 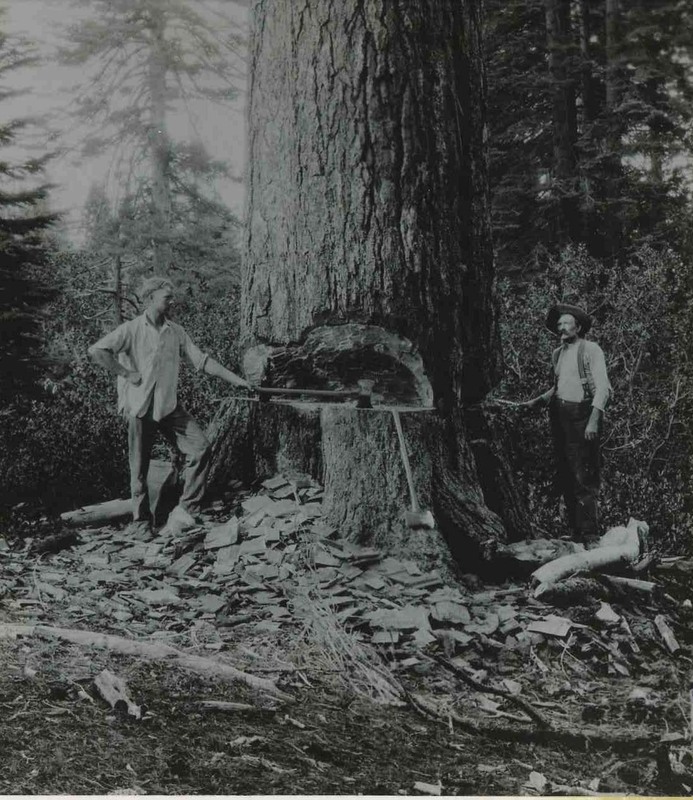 By the mid-1890s the massive pines were gone and so were the lumberjacks and businesses that relied on the money logging generated. 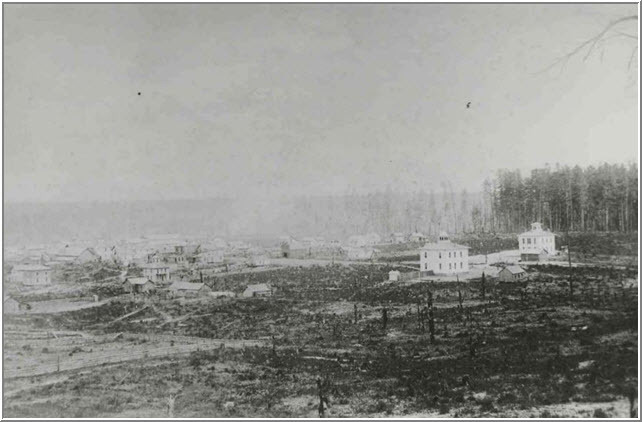 Much of the line to Meredith was abandoned by 1896 and that to Leota was formally abandoned in 1922. * If you haven’t seen the embankment near MMCC, it is on the north end of the campus on Monroe Road and rises about 10 feet above the surrounding landscape. Monroe Road cuts right through it but unless you know what you are seeing, you might drive right by it. Note: The post improperly calls the embankment a trestle. We may think of newspaper stories meant more to thrill than to inform as something from the latter part of the 20th century, but, as the story below illustrates, papers haven’t been shy about going for the jugular for a very long time (no pun intended). This story was published in a Michigan newspaper in 1896. I ran across it while searching for some information on Clare County.